The Canadiens are locked and loaded and have their sights set high for this upcoming season. Led by a high powered attack and shut down defense, Montreal is poised to reign atop of the Atlantic Division and bring home a Stanley Cup. They will have to beat out division rivals Buffalo Sabres and the Boston Bruins in their pursuit of hockey immortality. Grab your Montreal Canadiens tickets and be a part of your team's run at championship glory. The Montreal Canadiens top the list of teams that have won the most Stanley Cups to date. The Canadiens are successful and they are just as historic too. They have qualified for the postseason in eight of the last ten campaigns and will now be keen to make it nine out of eleven. The Montreal Canadiens have won an incredible twenty four Stanley Cups and you just don’t put up those numbers without delivering some unforgettable performances. 5 Stanley Cups In a Row - The Montreal Canadiens won their eighth Stanley Cup in 1956 to cement their status as the most dominant force of that era. That triumph however was just the start of an astonishing run. The Canadiens won the next four Stanley Cups as well in 1957, 1958, 1959 and 1960. No other team in NHL history has been able to better that record. The Big 50 - Maurice Richard was a man possessed in the 1944-45 season. He scored 49 goals in the first 49 games of the campaign and was on the cusp of becoming the first man in the league’s history to score 50 goals in a single season. Next up for him were the Boston Bruins on March 18, 1945, away at the Boston Garden. It was a close game but with just 2:15 remaining on the clock, Richard finally scored to become the first NHL player in history to score 50 goals in a season. 20 games and a Stanley Cup - The Montreal Canadiens last Stanley Cup win came in the 1992-93 season but they did it with style. The Canadiens took just twenty playoff games to win the biggest prize in the sport. They started off by beating the Quebec Nordiques 4-2 in the Division Semifinals. The Buffalo Sabres were then swept aside 4-0 in the Division Finals. The Canadiens then took on the New York Islanders in the next round and beat them 4-1. The Los Angeles Kings were their opponents in the Stanley Cup Finals and they were beaten 4-1 to complete an astonishing run to the title. Canadiens Bruins Rivalry - The rivalry between Montreal and Boston traces its roots back to December 1, 1924. That was the day when United States’ first ever hockey team, the Bruins, began to play as a member of the NHL. Their opponents on that day were the Montreal Maroons. The game took place at the Boston Arena and the home side won 2-1. Smokey Harris became the first ever goal scorer for the Bruins. Then on December 8, just a week later, the Bruins were up against the Montreal Canadiens. The Bruins were playing at home on that occasion as well but the Canadiens came from behind to win 4-3. That was the start of this epic rivalry. It has been described by many as one of the fiercest rivalries in sports. The Canadiens and the Bruins have met in the playoffs in thirty four series, the most by any two teams in the NHL. The Canadiens have won 25 of those. The Bruins have however won seven of the last twelve. It will be very interesting to see how this series pans out in the 2017-2018 season. Canadiens Senators Rivalry - The Montreal Canadiens took on the Original Ottawa Senators for the first time on December 19, 1917, in Ottawa. The Canadiens took the game 7-4. Then in 1927, they met in the playoffs with the Senators coming out on top. The Ottawa Senators play in the same division as the Montreal Canadiens. This is why these two sides play each other quite frequently. The modern day Ottawa Senators played their first game in the NHL on October 8, 1992, at the Ottawa Civic Centre. Their opponents that day were the Montreal Canadiens. The Senators won 5-3. These two sides squared off in the playoffs for the first time in 2013 and it was a heated series with plenty of flashpoints. The Canadiens were the favorites, but Senators won 4-1. They met each other in the postseason once again two years later and this time the Canadiens came out on top 4 games to 2. Located in the heart of Montreal, The Bell Centre provides fans with an ultimate Montreal night out. Fans can enjoy all of the bars and restaurants that surround the arena in the thriving downtown sector. Inside, patrons can relive Canadiens history with the ring of players and all the banners that hang from the arena's rafters. The Bell Centre is one of only two NHL arenas that uses an old-style siren to mark the end of periods instead of a horn, so you know every game is a one of a kind experience. The Bell Centre is one of the most famous arenas in the world. Hockey is not the only sport played there. Preseason NBA encounters and WWE shows have also been held at the Bell Centre. Not only that, but the first ever UFC event to be held in Canada (UFC 83) also took place at the Bell Centre on April 19, 2008. In his eighteen seasons with the Montreal Canadiens, the great Maurice Richard became the first player in history to score 50 goals in a single season. He also made it to thirteen All-Star games and has the distinction of being the first player to amass 500 goals in his career. He also won eight Stanley Cups with the Canadiens. The Canadiens retired his number 9 in 1960. Jean Beliveau is another Canadiens legend whose number 4 was retired by the franchise on October 9, 1971. Jean won ten Stanley Cups as a Canadiens player, with five of those coming with him as the captain. He also won two Hart Memorial Trophies and the first Conn Smyth Trophy with the Canadiens. Doug Harvey is one of the greatest defencemen to have ever played in the NHL. With Montreal he was part of the team that won five consecutive Stanley Cups. He also won the James Norris Memorial Trophy on seven occasions and his number 2 has been retired by the Canadiens in 1985. The Montreal Canadiens have been quite consistent in going beyond the regular season and they are expected to do it this year as well. If you want to see them play in the postseason, then this is your chance to get Montreal Canadiens playoff tickets. Our process for purchasing cheap Montreal Canadiens tickets is simple and fast. There are so many online ticketing sites, that it can be hard for customers to find the right place to buy Montreal Canadiens tickets at the cheapest price. At ScoreBig we think of our customers first and foremost. We offer daily deals for Montreal Canadiens events, so our customers can get the best seats for the best prices. ScoreBig will always go above and beyond to offer the cheapest Montreal Canadiens tickets on the market. The Montreal Canadiens schedule above, displays all available events for 2019 and 2020. Once you find the event that you would like to go to, click the red “Get Tickets” button. It is located on the right-hand side of the event listing, it will take you to an Montreal Canadiens event ticket page. ScoreBig's event ticket page will display all available Montreal Canadiens tickets for that event. On the event ticket page to help with your search for the right Montreal Canadiens tickets, use the filters at the top to select quantity, price range, and more. There is also an interactive seating chart so you can pick where you want to sit. When you are ready to buy a ticket, click on the listing, and you will be directed to ScoreBig's checkout page. Upon completion of the information fields, your order will be processed and your Montreal Canadiens tickets will be delivered via email, mail, or to your mobile device. What makes ScoreBig’s site stand out from the rest? We are constantly analyzing our competitors to improve our site, service, and prices. ScoreBig.com employees strive to offer the best process and experience to buy cheap Montreal Canadiens tickets. Our goal is to get you the best seats to Montreal Canadiens events. We offer daily discounts on our site and for special promotions check out our newsletter. If there are no Montreal Canadiens events currently available, you can use our search feature at the top of the page to see a list of all popular events going on near you. No matter your price point, we have all the best deals and discounts on Montreal Canadiens tickets. For more information on prices of Montreal Canadiens tickets and the schedule for Montreal Canadiens, check out our listings above. The last thing you want to find out is when the Montreal Canadiens event you wanted to go to is sold-out. Don’t worry in many cases ScoreBig has affordable tickets to sold out events. We sell tickets from GA all the way to premium seating and parking. Skip the scalpers in the parking lot and get your tickets online from top Montreal Canadiens ticket brokers. We get you in all events, buy your Montreal Canadiens tickets here from a brand that many trust and rely on for all their ticketing needs. ScoreBig offers a 100% money-back guarantee. If you have been in search of cheap tickets for Montreal Canadiens, ScoreBig by far is the best option. That’s why ScoreBig has more loyal customers than any other ticketing site. 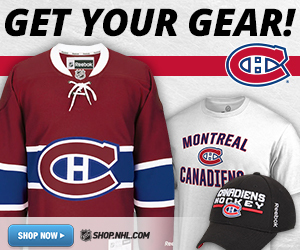 Shop at ScoreBig for safe and secure Montreal Canadiens event tickets.